Posted byPaul	 June 12, 2012 July 4, 2013 Leave a comment on Mr Nice. Last night I finished reading Mr Nice, for the second time. Like Charlie in Perks I will always try to read a book twice to make sure I get it all, to capture it better in my memory. The book got me thinking about marijuana and the way it is seen in the eyes of the law. 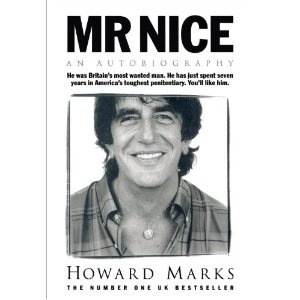 Mr Nice is the story of Howard Marks, an Oxford graduate turned marijuana smuggler in the late 60s. It’s an incredible story encompassing a rock n roll lifestyle with daring and narrow escapes and eventually the long arm of the law. 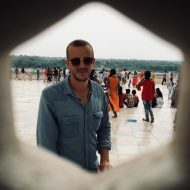 Throughout Marks maintains that he is just transporting beneficial herbs, and that what he is doing is nowhere near as deadly as the alcohol or cigarettes markets which are legal in Britain and throughout most of the world. I can’t help but side with him. While what he did was illegal the way he justifies it makes you realise just how ridiculous the law is in this field. I know plenty of people who have fallen foul of the law while in receivership of marijuana and like Marks their punishments didn’t really match the crime. Marks spent seven years in a US penitentiary with murderers and rapists, and to me that doesn’t make a lot of sense. I believe that the real reason for such stringent laws on marijuana smuggling is that the governments know they should be getting a fat chunk of that in tax. That if it were legalised it would limit the cost added to the seller as the means by which it would be obtained wouldn’t be illegal and dangerous and as such a tax could reasonably be placed on its sale. Then again maybe that’s just this whole hippie brain of mine, but it would certainly solve the recession.